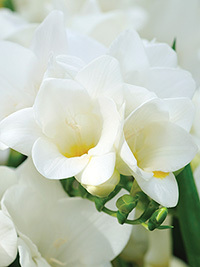 Clean white single freesia that holds many florets open at once. Great for a commercial cut flower variety. Fragrant, 40cm.